Home › Can I Attend AA as an Inpatient? 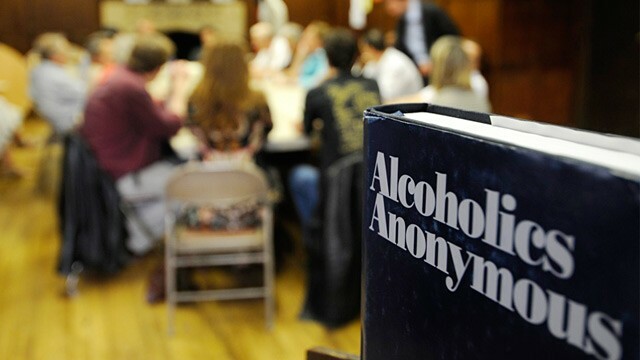 You absolutely can attend Alcoholics Anonymous as an inpatient, as many residential and even hospital-based programs provide access to meetings and other important parts of the 12-step process. Though some aspects of the program can be different for those in inpatient treatment, it can also be a great supplement to care. How Can AA Help Me as an Inpatient? Most people assume that 12-step groups are only beneficial for those in outpatient care or no other type of treatment program, but attending regular AA meetings, even while in residential care, can help patients in many ways. Initially, it can be difficult to assimilate into a 24-hour care program, and this part of the process takes a long time for many individuals. With the help of AA, you can get to know the other patients in the treatment center much more quickly and intimately, which can provide additional support. According to the National Institute on Drug Abuse, long-term residential treatment programs often utilize the therapeutic community model which “focuses on the ‘resocialization” of the individual and uses the program’s entire community––including other residents, staff, and the social context––as active components of treatment.” Having regular AA meetings can help strengthen this kind of positive social interaction between residents and remind everyone of how this program supports and helps individual residents as well as all patients in the facility. Can I Still Follow the Teachings of AA in Inpatient Care? Many inpatient programs provide access to AA meetings. In some ways, following the teachings and learning to cement them into your everyday life may be easier in inpatient treatment than while you are out trying to live your life. Many of the teaching require self-reflection and self-understanding, something that can be difficult to achieve when you do not have the time to reflect. In inpatient care, patients often have plenty of time to reflect on their beliefs, their needs, their ability to comply with the teachings of AA, and their recovery. Some teachings or steps may be harder to follow, but you can still carry out many of them in creative ways. For example, if you are at the stage in your recovery where it is time to make amends for the wrongs you have done as an addict, you can make a list of these amends and then invite your friends and family members to the facility. You can not only apologize but also make promises that you intend to keep about finding ways to atone for the issue. In addition, you can attend family therapy in inpatient care, which can be another wonderful therapeutic supplement to your treatment and help you better follow the principles and steps of Alcoholics Anonymous. As a recovering addict, AA is always an accessible and helpful resource that exists for you, whether you are currently in inpatient care or looking for treatment still. If you call 800-839-1686, we can help you find a treatment program that fits your needs and offers AA meetings to patients as well as answer any questions you may have about alcoholism and AA.